If you’re looking to take your CBT test in Richmond, you’ve come to the right place. Here at RideTo we have a number of CBT test centres around Richmond which will get you on the road in no time. Our first test centre is located right in the centre of Richmond, just a two minute walk from Richmond station. Ipass CBT Training Centre has everything you need to pass your CBT and more. They have a safe off-road area, classrooms, changing rooms and even a small cafe on site. IPass are also MCIAC Approved, which means the standard of training and customer service you will receive are among the highest. West of Richmond, in Hounslow, there is Heathrow Motorcycle Training, who are also MCIAC Approved. The team at Heathrow Motorcycle Training are either serving, or ex-Police riders, so they’re trained to an incredibly high standard and really know their stuff. As Police officers they’re also patient. The roads are relatively quiet around Hounslow, but you’ll still get the chance to encounter many different road scenarios. 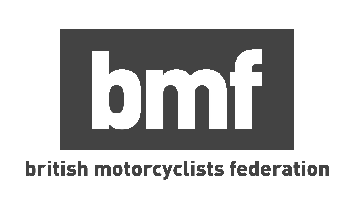 Further West is West London Motorcycle Training, based in Feltham. WLMT can help you complete your CBT and also offer full motorcycle licence training. They provide both a helmet and gloves for use during your CBT, and since they’re a little further away from Central London, the local area provides a good variety of roads for you to experience. What Bike Can You Ride With a CBT? Depending on your age, you will be limited to a machine with a 50cc engine, or a 125cc engine. At 16-years-old you’ll be limited to the smaller 50cc capacity, as well a top speed of 30mph. Don’t worry 30mph is pretty much all you need in London. The most popular choice of 50cc bikes are scooters, which provide great ease of use and practicality. You won’t have to worry about gears or a clutch - just twist the throttle and off you go. Scooters usually offer some form of underseat storage. Although the capacity can differ, most will be able to fit a full face helmet under the seat, so you won’t have to carry it around with you once you reach your destination. 50cc motorcycles are slightly less popular. The addition of a clutch and gears provides the rider with greater control of the machine, but you lose the practicality of a scooter. A 50cc motorcycle will also still be restricted to a top speed of 30mph, so you’ll be busy changing gears a lot of the time. If you’re 17-years-old or above that means you’ll be able to ride bikes with a maximum capacity of 125cc. You won’t be limited to any particular top speed, so you’ll be able to keep up with traffic outside of the city much easier. 125cc bikes are incredibly popular in cities, as they’re incredibly lightweight - which means they’re easy to handle - and they have enough power to make city riding fun and hassle-free. Whether you’re 16 or older, there is a huge array of motorcycles and scooters to choose from. These are our top bikes of bikes to choose once you’ve taken your CBT Test.